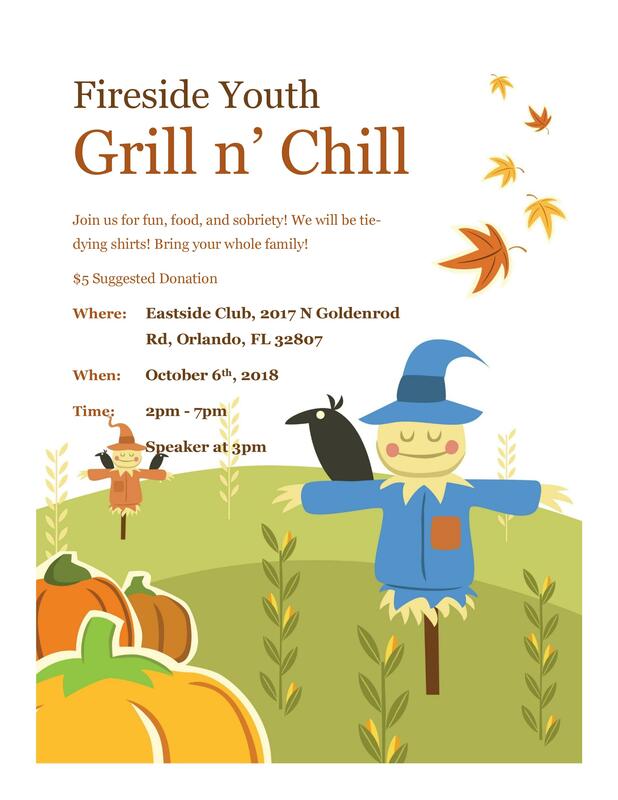 The Fireside Youth group invites the whole family for fun, food, and sobriety. The event will include tie-dying shirts and more. There is a $5 suggested donation.